What are the Benefits of owning your own Domain Name? Domain Name Registration is worth it or not? Well! Absolutely yes! As just have people & businesses have names, in the same stated way websites also have names. Generally, it is considered as the specific address on the internet. And, with the passage of time, now it is well linked with the identity or brand. A domain name is your own unique identity and always will be as long as you continue to use that name. Domain names are so cheap nowadays that there’s no excuse for not having one. Now that you’re ready to get yourself a domain name then, here are some pointers which will benefit you from having your own domain name. The first & the foremost advantage of having your own domain name is that you can definitely showcase your work. Presently, you might be using social media to promote or showcase your business publicly but, as far as website & domain is considered it works out better over the social media networks. Anyone out there, who is tending to have a website or a domain, must be equipped with the blog. The blog is considered as the best way for businesses to provide something valuable to those who else is visiting the website. A blog will not only indicate the current updates about you but, it will also depict the latest news about your company success. So, it’s well worth having! Branding presents out to be the most important aspect of the online world & you’re losing it if you are not having your own personalized domain. In today’s world, if you’re having a business then, you surely need to have a branded website for your nature of business as this the prime platform through which people can find you & keenly understand your nature of business online. Whether you sell one product or offer any sort of service, you can let people know about your kind of product or service also on a simple one-page website. There is a guarantee that your customer will definitely grow as a result. Usually, it is considered that the entire domain businesses & website creation is quite expensive but, actually it doesn’t. Most of the domain names are made available around for the people at just the nominal cost which the layman people can afford easily. The number of years you add to it, the less expensive domain will be made available to you. Another most important advantage of owning your own domain is “Domain Forwarding” or “Redirecting”. If you are having your own domain then, you can simplify it by briefing the web host of your domain name to “Redirect” the complete traffic to your specific domain to any website. Having your own domain name and redirecting, it will absolutely make sure that your outlook for future end up in the right place and you don’t lose your business. The complete procedure is divided into two different parts. The first one is the domain name itself. For instance, suppose you want to sell purple lilies & having the domain name purpleliliesforsale.com is surely going to help you rank better in Google as you are using the keyword domain for your specific business. Though there is the much verbal fight over the use of these kinds of domains, these types of domains still perform better than others. The second part of you gaining control is that because it’s your website, you get to choose what you do and do not show. You can display only what you want customers to see and even hide pages if you don’t want Google to crawl them. 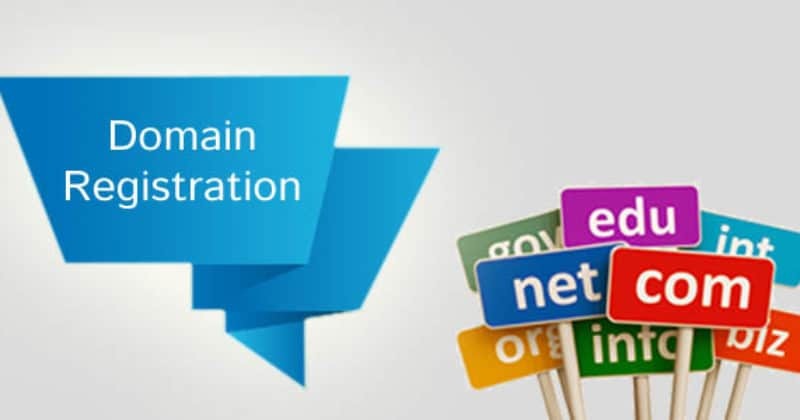 Domain Name Registration is the complete quality process which will allow you to get your business a new range of hope to get the excessive success. On the other hand, owning your own domain name is very much beneficial; yes it is worth it. The overall success of the website completely depends upon its domain name even the ability and capabilities of the web host & also the ongoing presence. Whenever quality and success are considered as the prime goals then, registering it well will set a website apart from other ones. And, also arranging professional maintenance will also help you to ensure the positive & the prosperous outcome of results. Register a domain & get yourself & your business a new entity! Best Selfie Drones For Making Truly Breathtaking Aerial Selfies!